This sumptuous guest bedroom makes for the warmest of welcomes. Whether sitting or resting in this beautifully designed room you’ll marvel at the splendour of your surroundings. 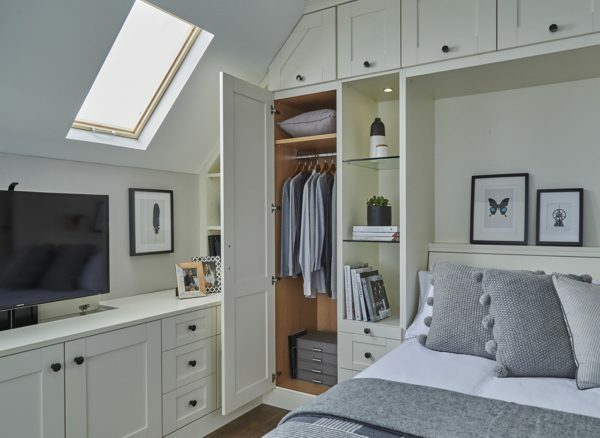 Bespoke storage is fitted to the eaves, making maximum use of the space, while the pull down double bed conveniently folds out of sight when not in use. 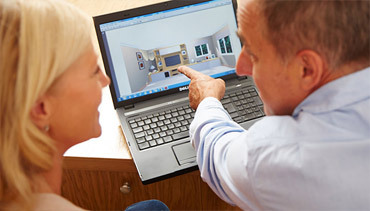 We offer a range of built in furniture designs, alongside different finish options and wonderfully modern touches. 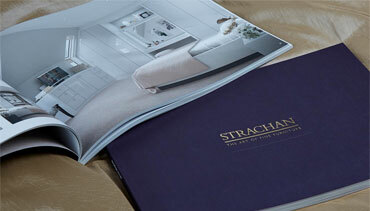 Your local Strachan designer can create the perfect configuration to suit your tastes and utilise your space. 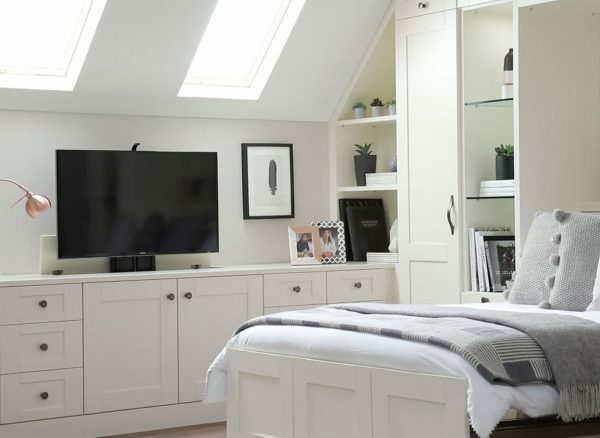 Fitted alongside the fold down double bed, this lavish Verona guest bedroom furniture features multiple storage options: display shelving provides the ideal space for decorative items, while overhead built in cupboards, full height wardrobes and low level cabinets cater to all your storage needs. 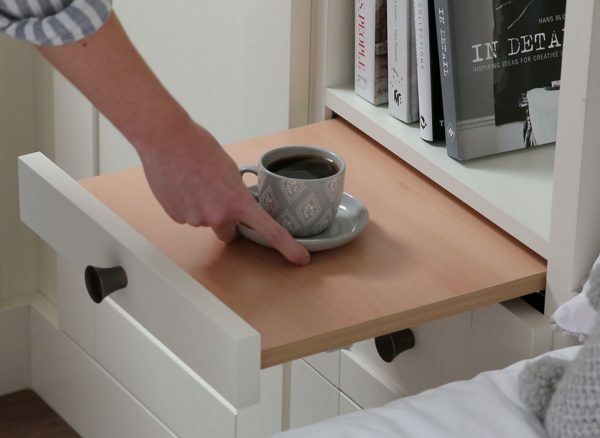 This pull out bedside tray gives you the perfect place to rest your book or enjoy a tempting cup of coffee in the morning. When not in use, its soft close action allows you to smoothly slide the tray out of sight. 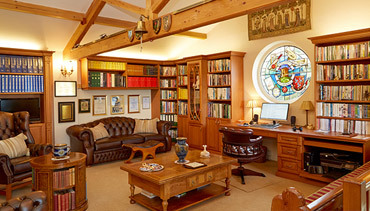 This is one of the many practical features of this elegant built in furniture design. Whilst you might opt for the classic look of the Verona range, you have the option of including modern design features. In this room, a concealed TV reveals itself from behind the cupboard with the touch of a button, creating the perfect environment for your guests or the ideal hideaway for relaxing and catching up on your favorite show.